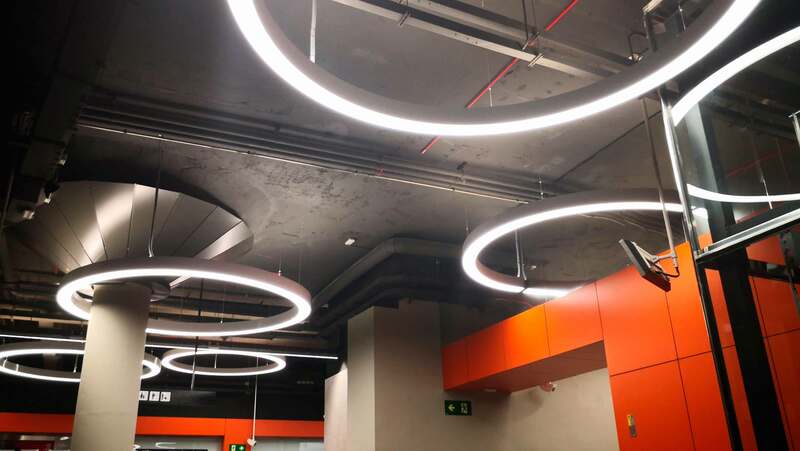 The Foneria metro station, in Barcelona, ​​sports a new lighting of elegant and pure design thanks to the Geminy luminaires, a revolutionary lighting system based on LED technology. Many subway systems in the world are often associated with unmemorable spaces, with little luminosity, monotonous and crowded with agitated passengers, they hardly stop to look at any advertising or architectural design on the platforms, while waiting for their train, reclining on gray walls. Introducing new system, Luminaire Geminy. 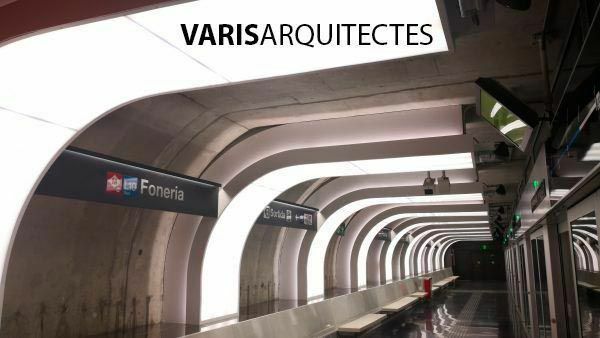 The STUDIO DANI FREIXES – VARIS ARQUITECTES , has broken with this topic with a project that has created new luminaires for architecture and design in underground environments, in this case, in the Foneria metro station. Luxes has contributed to Geminy a revolutionary system based on LED technology. Foneria is a metro station in Barcelona where trains from the L10 South line stop. This station is part of section 2 of L9 / L10 which is located on the promenade of the Zona Franca, between Foundry Street and Plaza de la Marina de Sants. It has 3 accesses to the walk of the Free Zone. The station opened its doors on September 8, 2018 together with the FOC station. 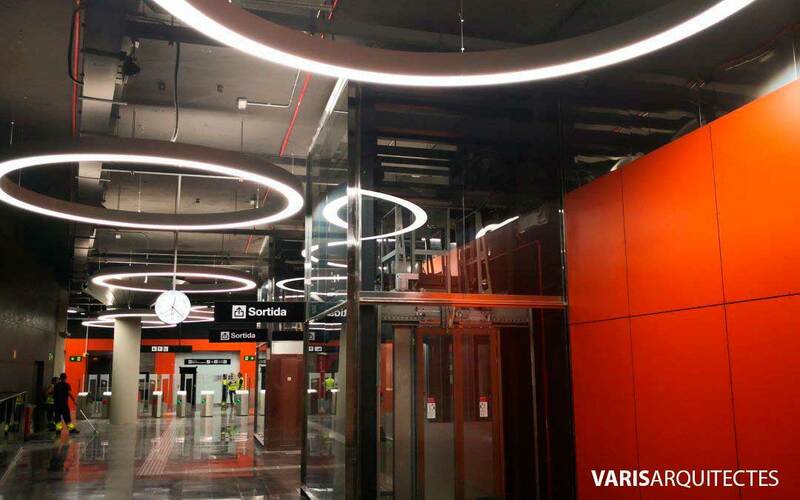 This is where LUXES integrates security and comfort for travelers and for staff working </ strong> in underground infrastructures improving lighting performance. The protagonist has been a lighting design by ESTUDI DANI FREIXES – VARIS ARQUITECTES, technically developed by LUXES with a LED system called Géminy. </ strong> Thanks to this fruitful collaboration in the revolutionary and innovative design, the Foneria station has been given a beauty and energy efficiency that will cut the current energy consumption of the station by half. 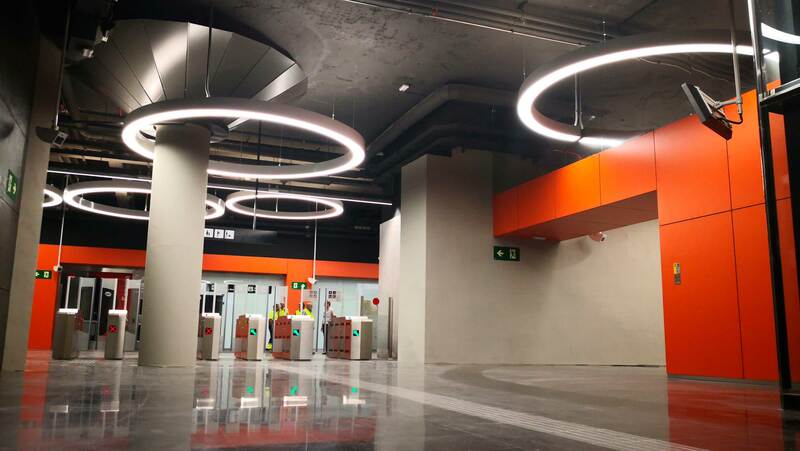 The modernization of the Foneria metro station is one of the commitments and goals set by LUXES </ strong> to improve the quality of service provided by the line to travelers, replacing conventional lighting with LED technology. In addition to its numerous ecological and energy advantages </ strong>, this lighting considerably improves the experience of travelers by offering them great visual comfort. With this change in lighting technology, which far exceeds previous filament, fluorescence and low power technologies, the useful life of the luminaires is much higher, which prolongs the time of replacement of the same and therefore reduce dramatically the waste generated by the line Metro Foneria </ strong> in two thirds and the emission of CO2 in more than 50% in terms of lighting. With this initiative, Metro de Foneria has LUXES as an ally to take a step further in its commitment to be pioneers in the optimization of available resources, improving their facilities and generating energy savings that prevent the emission of polluting waste.